﻿ Seri Borneo Hotel, Kota Kinabalu | FROM $21 - SAVE ON AGODA! "Friendly staff dan value for money"
Have a question for Seri Borneo Hotel? "I will come and stay here again." "I love the location near Sinsuran Night market, Tamu Gaya Street, Philippines market, Food market." "The family room is spacious." "the location is very strategic with all the attraction is wi..."
Ideal for fun and relaxation, Seri Borneo Hotel is located in the Central Business District area of Kota Kinabalu. Situated only 0 km from the city center, guests are well located to enjoy the town's attractions and activities. A haven of rest and relaxation, the hotel will offer total renewal just steps away from the city's numerous attractions such as Sabah Parks Office, Filipino Market, Night Market, Kota Kinabalu. At Seri Borneo Hotel, the excellent service and superior facilities make for an unforgettable stay. 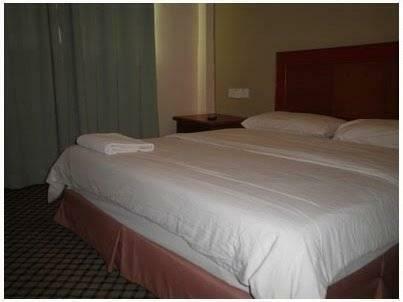 The hotel offers access to a vast array of services, including Wi-Fi in public areas, tours, laundry service, concierge. 30 rooms spread over 3 floors provide a warm and pleasant home away from home. Modern comforts such as air conditioning, wake-up service, desk, telephone, television can be found in selected rooms. Besides, the hotel's host of recreational offerings ensures you have plenty to do during your stay. Seri Borneo Hotel is a smart choice for travelers to Kota Kinabalu, offering a relaxed and hassle-free stay every time. 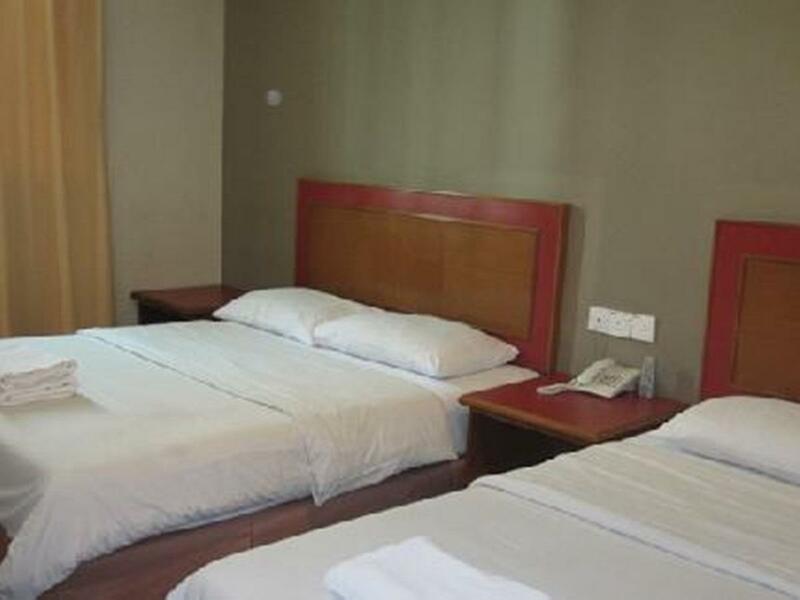 "Good for your money, the location from this hotel to filipin..."
location is strategic, new to Philippine market, restaurant, main city of KK, other convenience store, jesselton jety. Room, facilities and services is value for money. satisfied for 3 nights stay. RECOMMENDED! No refrigerator in the room provided to keep cool drink but overall the room is comfortable to rest with almost sound proof glass and wall. A good hotel to rest and unwind. Just a walking distance to eateris and i have chance to cast my fishing rod. the price is not that cheap, the location is nearby with filipine market. But unfortunately the bathroom cannot close. When we try as for help at counter, the man said that the room already full and they didnt do anything to help us. For a budget hotel, you get what you paid for. The family room is spacious. Excellent location. But carpark is very limited as it at the centre of the town. Not recommended to those who look for privacy. 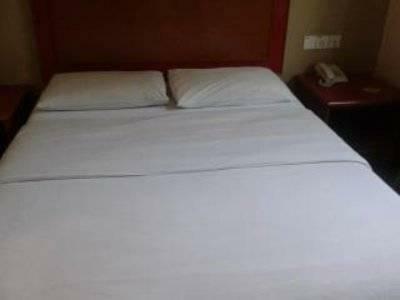 Old and aged hotel with clean rooms and washroom. Hot water and airconditioning worked fine in my room. Noticed light stains on comforter covers. Walls have been scribbled with pen/pencils by previous occupants and no effort taken by staff to clean the unsightly outlook. No safe deposit box, single lock door security and thin walls. 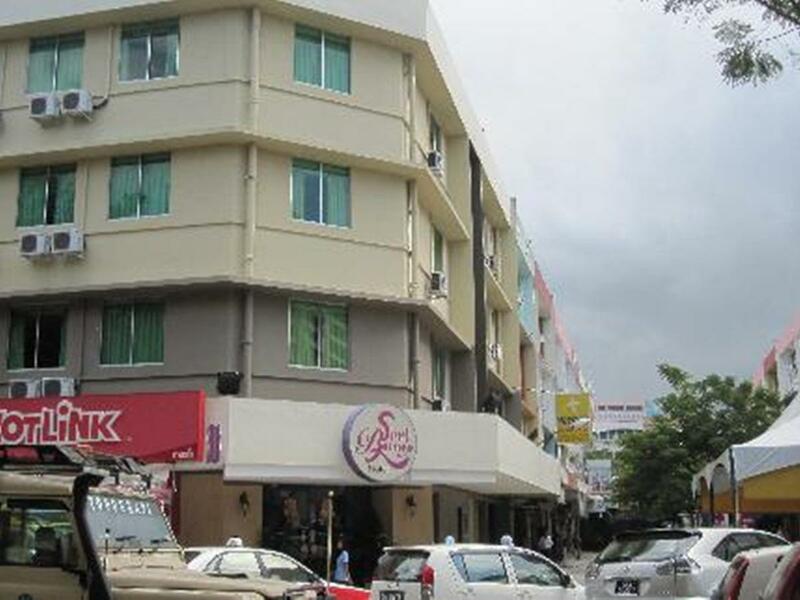 Location is just 20m from the bustling market scene of KK waterfront so it's a good hotel if u just need to bunk in for a night or two with clean shower room. Night Market, Food stall just nest to it. I will come and stay here again. this is the 7th time I stayed at this hotel. that means I'm very satisfied. strategic location, reasonable price, food & shopping facilities. the room condition is also clean and comfortable. It was a pleasant stay here, many food stalls and near to shopping malls. Walking would be enough. The room is comfortable and bathroom is clean. Everything was nice. Would definitely recommend this. The Hotel is a little bit old and the cleanliness is just average, but it's valued for money if just want to stay for one night. 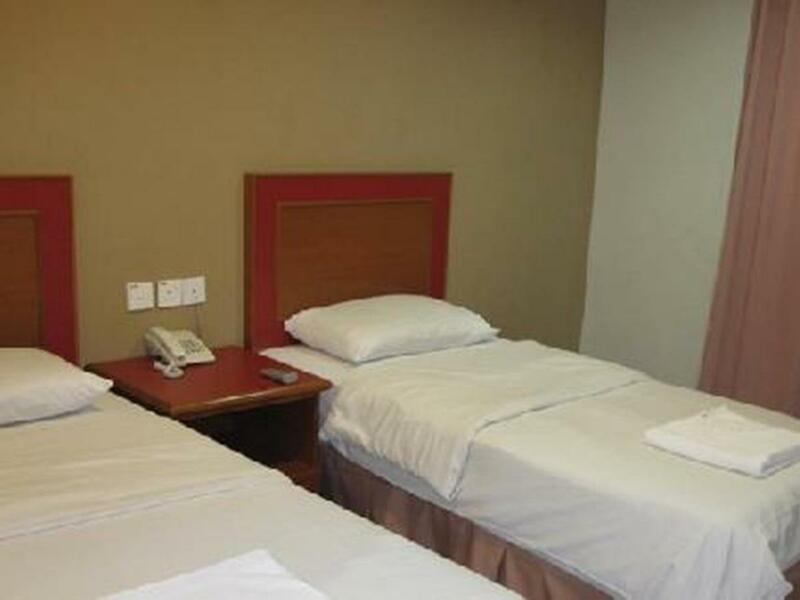 The hotel also near to Philippines Market, night market, KK waterfront and many more. 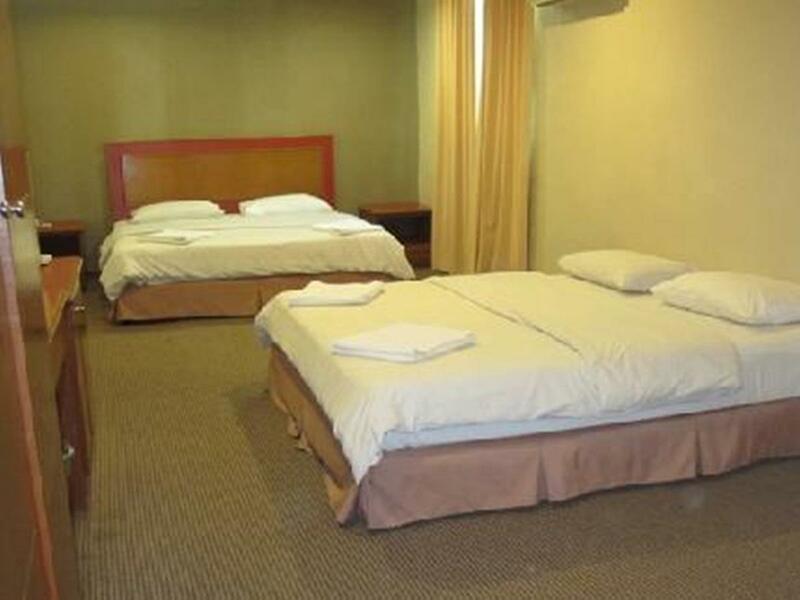 We superior triple(1queen n 1single bed) the room just nice for 4 of us.aircond cold,hotel have no lift but lucky for us we got 1st floor room.restaurants nearby.shud try stesen ikan bakar restaurant.night market just in front of hotel,pasar filipin,pasar buah,pasar besar just 2,3 minit walk.kk plaza 5 minit walk,city plaza,warisan mall just 2,3 minit walk..the hotel's location is so convinient,we dont need taxi! Theres a night market behind pasar buah which sells variety of food! !try it! Room,toilets & location; shopping & dining. Definately a great stay in the hotel with a friendly and helpfull hotel staff. Easy to walk around with everything just nearby the hotel with few minutes of walking. Worth the pay,good sleeps n clean bathroom. For sure to come back again!